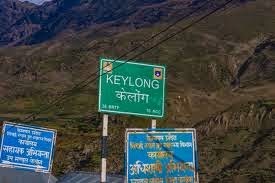 Today after satisfyingly visiting Udaipur and Trilokinath, we drove back towards Keylong town. We drove back on the same route through which we had driven the previous day. I.e.via Moosing---Shansha---Tholang---Tandi. 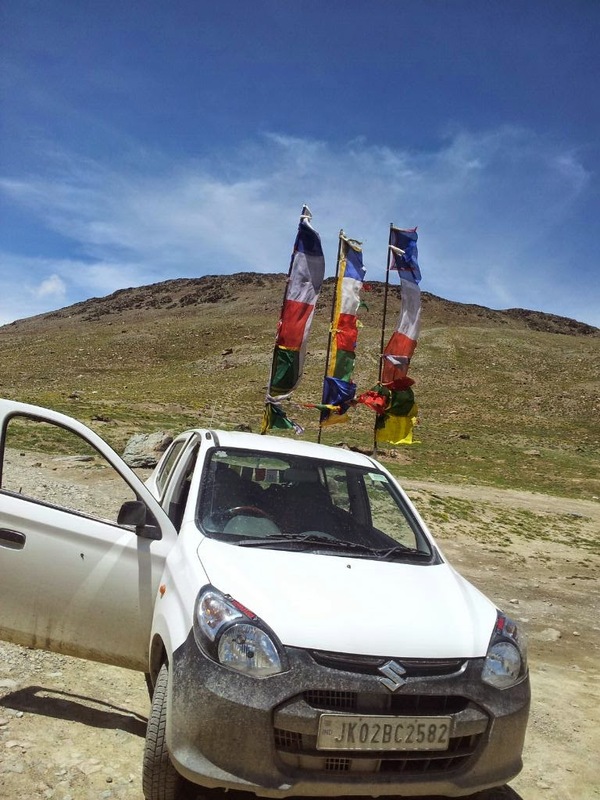 Once we reached back at Tandi village, we drove straight to the Petrol Bunk and refilled the fuel to its full capacity, because knowing well that the next Petrol Bunk would be at Leh City, that is 365 Km away from Tandi. After refilling fuel we drove towards Keylong and Jisspa. 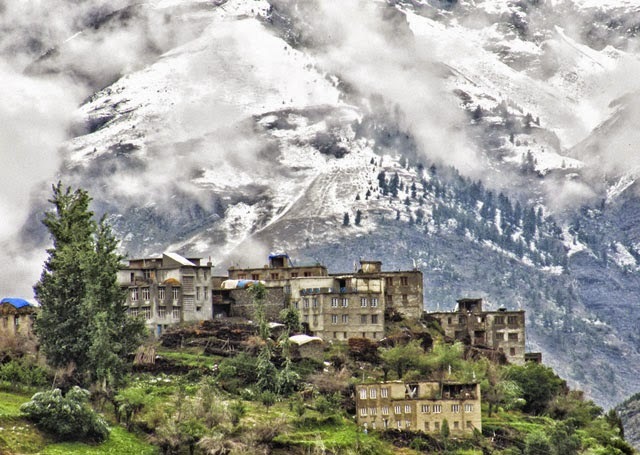 Keylong is situated at an altitude of (10,100 ft) above MSL and is 9 Km from Tandi. It has a population of (14,128). 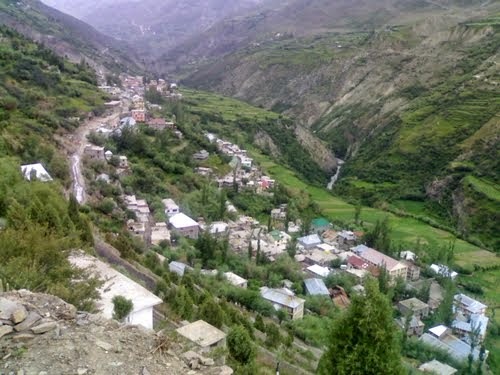 Keylong is the district head quarters of Lahaul and Spifi. 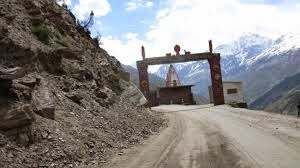 Keylong is situated on the main trade route between the Rohtang and Baralacha passes above the Bhaga river. 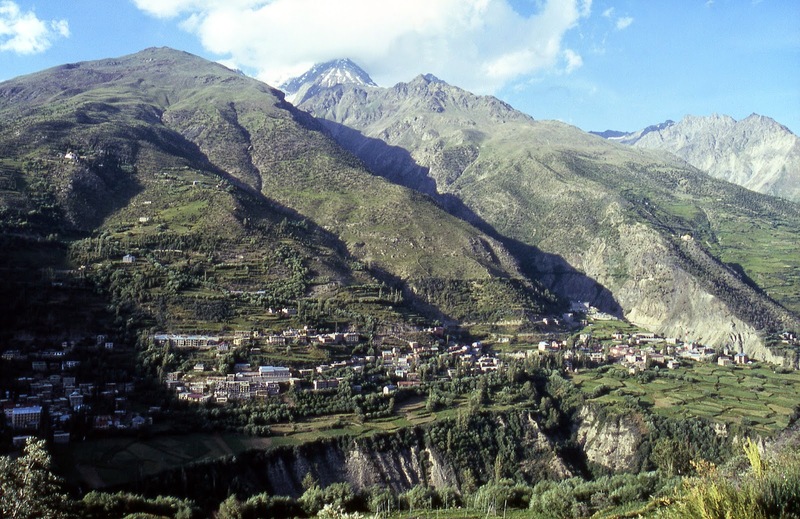 Being the district head Quarter, most of the government offices are located at Keylong. This is also the hub-centre of all commercial activity with a regular bazaar. 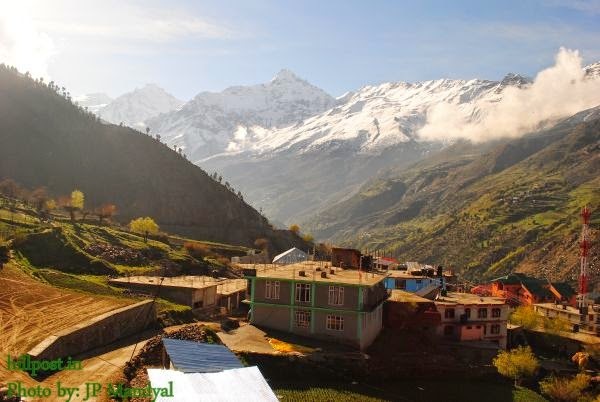 Keylong is the most populated and busy village of the Lahaul valley. 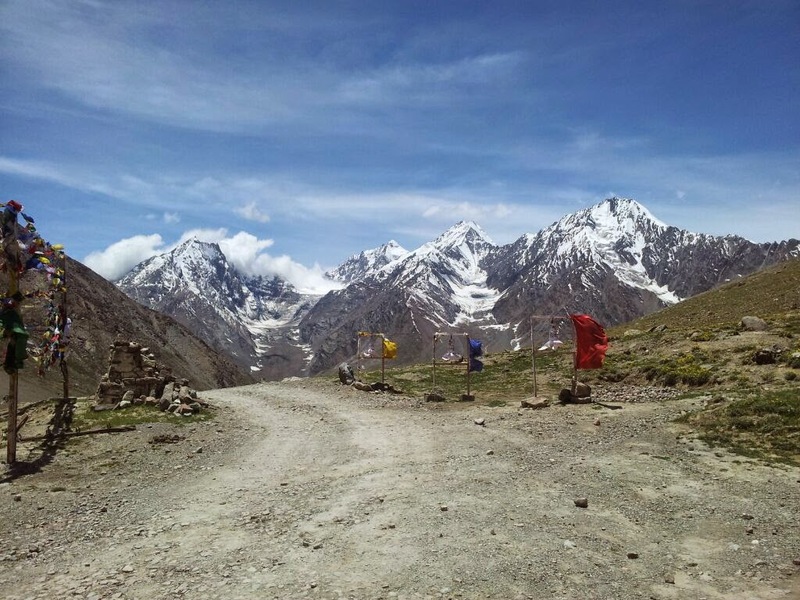 As far as communication facilities are concerned, there are police and telegraph radio nets, telephone exchange at Keylong and postal service throughout the valley. There are three light-TV transmitter has been installed one in Sumnam village, second in Baring & third in Udaipur. 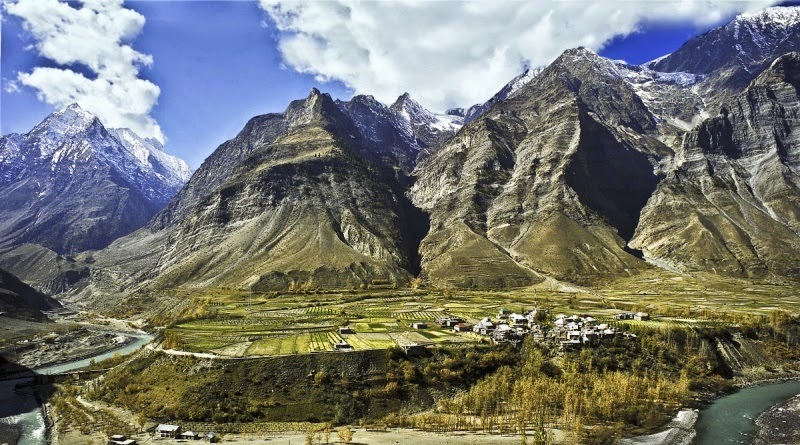 In the past Keylong was home for the Moravian missionaries. 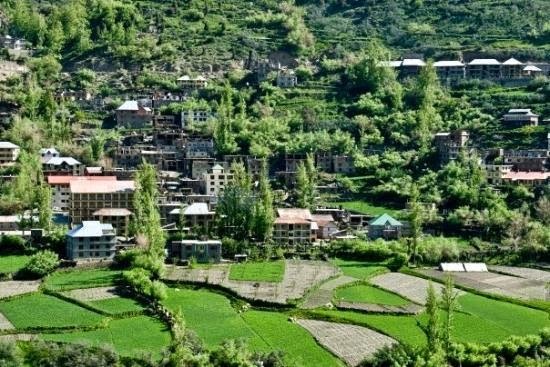 During summers Keylong is very green looking refreshingly striking against a backdrop of brown hills and snow clad peaks. Because of this panoramic setting Lieut. Col., the Honble C.G. Bruce, M.V.O. likened Keylong to a barbaric jewel--a roughly cut emerald in a bronze and silver setting. 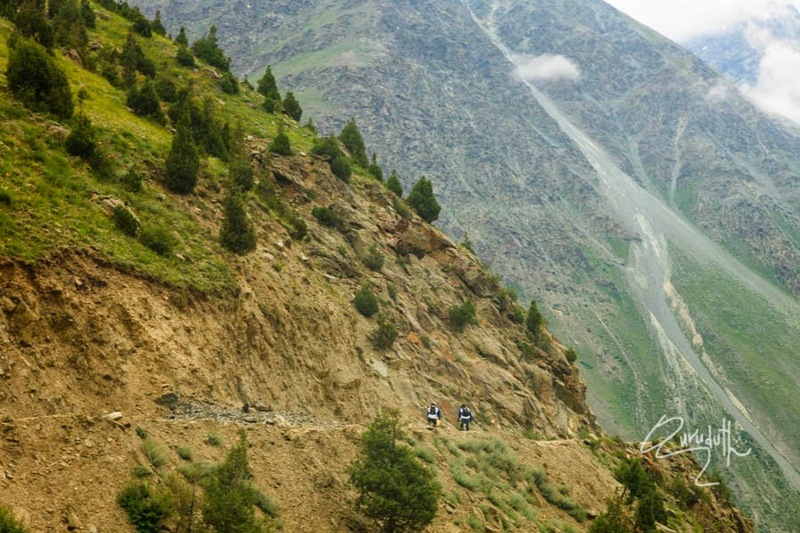 There can not be a better simile to describe the lush green charm of Keylong during summer's. "It is an oasis of green fields and willow planted water courses surrounded by brown hills and snowy heights". 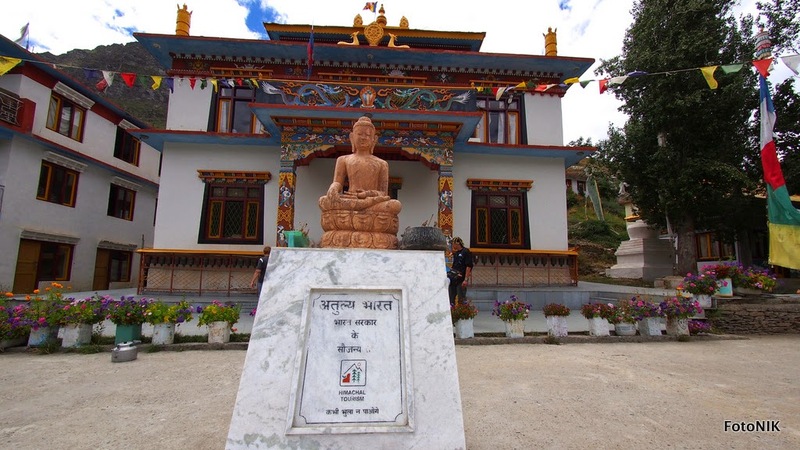 Three of the best known monasteries Tayul, Kardang and Sha-Shur are within a few kms. from this village. 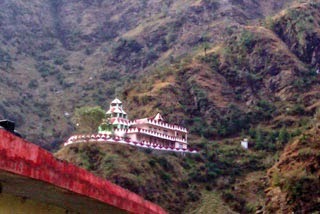 Tourists may also like to visit the temple of the local deity Kelang Wazir in the house of one Sh. Nawang Dorje. On the opposite side of Keylong town, at the foot hill of opposite side tf Keylong town across the Baga Rive there is a Keylong faces the famous Kardang Monastery, the largest and most important monastery in Lahaul, of the Drukpa sect of Tibetan Buddhism , which is on a slope across the river from Keylong. 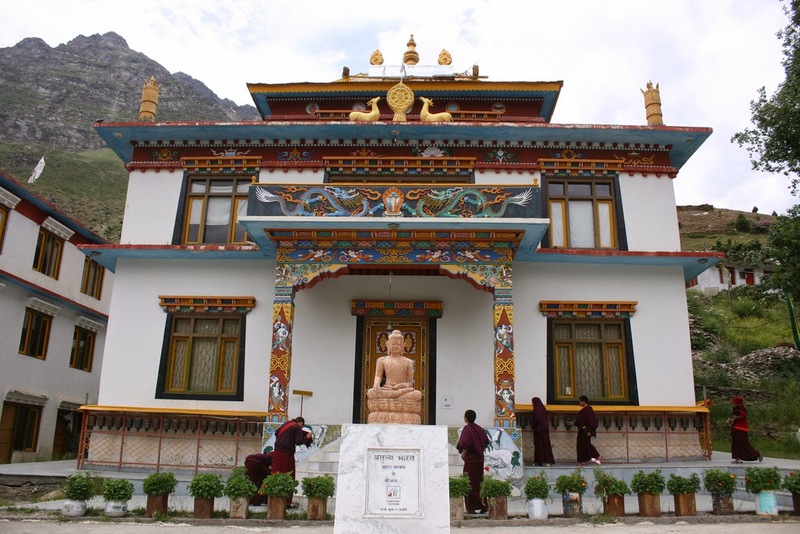 Sights near Keylong include the Kardang, Shasur, and Tayul monasteries, all within a few kilometres of Keylong. 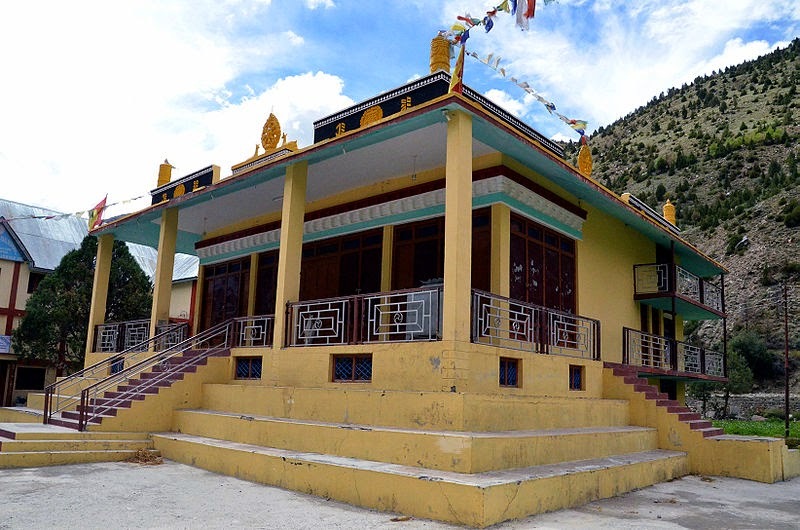 There is also a small temple dedicated to the local deity Kelang Wazir in the house of Shri Nawang Dorje that may be visited upon arrangement. 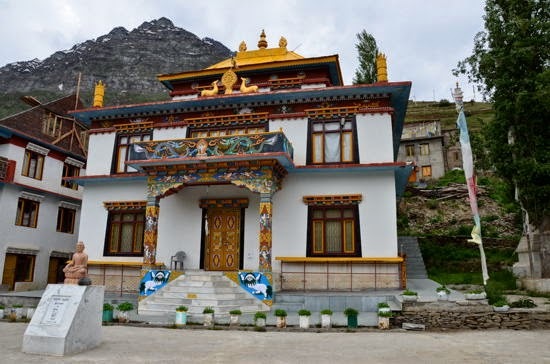 The monasteries are believed to have been built in the 12th century and houses a large library of Buddhist literature, including the Kangyur and Tangyur scriptures in the Bhotia or Sherpa Language. There is also a good collection of fine Thankas, musical instruments such as lutes, drums, horns, as well as old weapons. There are colourful frescoes and murals. 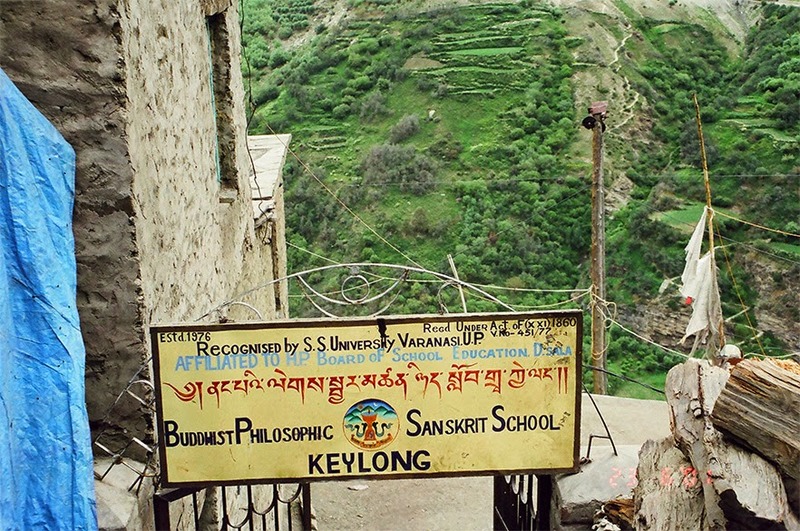 The Kardang monastery was in ruins until it was renovated in 1912 CE by Lama Norbu Rinpoche (died 1952), who, with Lama Kunga, turned it into "a proper educational and training establishment." 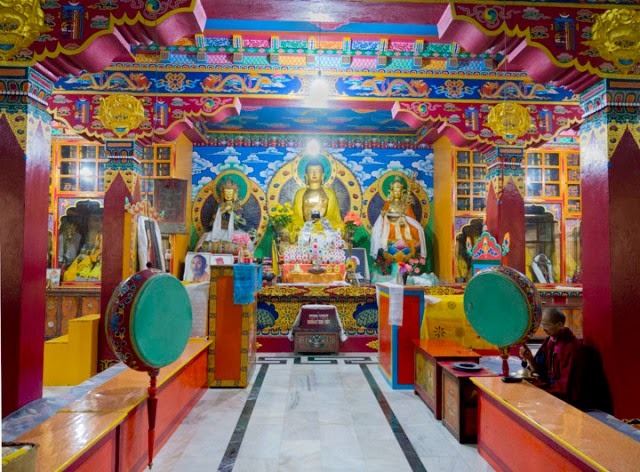 In the first room is a 4 foot (1.23 metres) high silver Chaitya or Chorten preserving the skull and ashes of Lama Norbu. To the right of it are statues of Padmasambhava and Tara Devi, and in the back, one of Tagden Shakyashree, guru of Lama Kunga. 103 volumes of the Kangyur are kept here, while behind are 64 Tantra books on various subjects. The second room is the main Prayer Hall with an eleven-headed statue of Avalokitesvara. On a high pedestal at the right are some of Lama Norbu's castoff garments and with a skull in front. In the third room is a six foot wooden prayer wheel with a brass bell on it. There are now about thirty monks and nuns (chomos) in the monastery, and two British nuns have studied, meditated, and been initiated in recent years. The monks and nuns have equal rights, and the monks have permission to marry. The monks spend the summer with their families working their fields, in the winter they return to the monastery. There is a huge prayer drum in the monastery with the sacred six-syllable mantra, “OM MANI PADME HUM”, written a million times on strips of paper. It also has a Narbo as its head Lama. Modern story by monastery head Lama Paljor Larje. 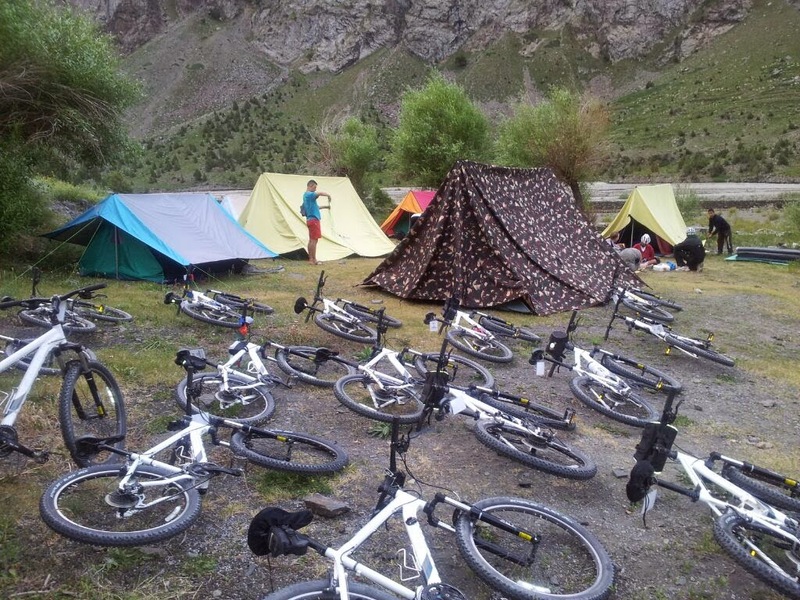 By the time we finished sight seeing around Keylong and its Monasteries, it was evening time. For the night we didn't want to stay at Keylong, because it’s very busy and noisy town. So, after finishing our evening tea and eats at Keylong, we drove straight towards Jispa village which is comparatively quieter and peaceful village. 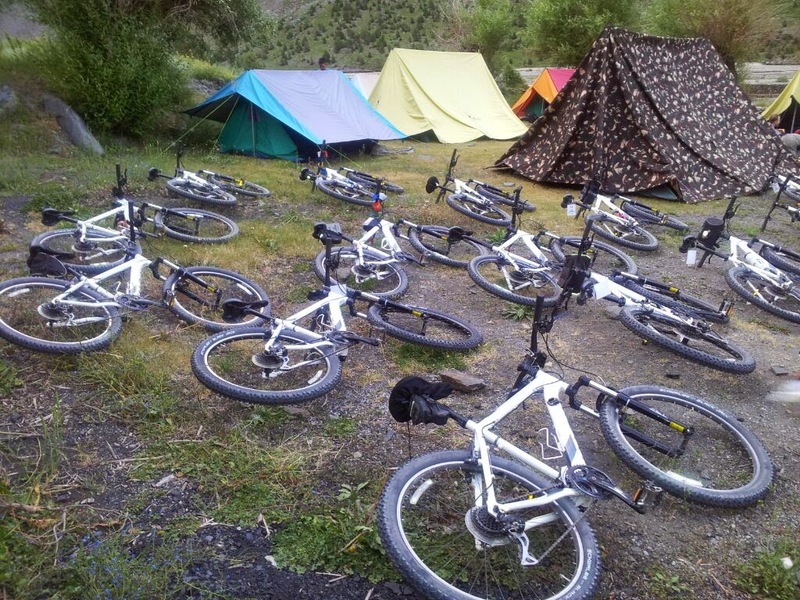 We had planned to stay for the night here at Jispa itself. 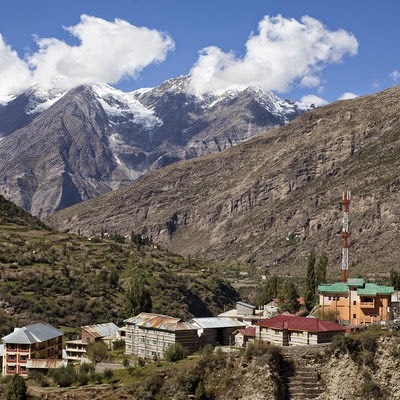 Jispa is situated at an altitude of (10,500 ft) above MSL and has a population of 332. 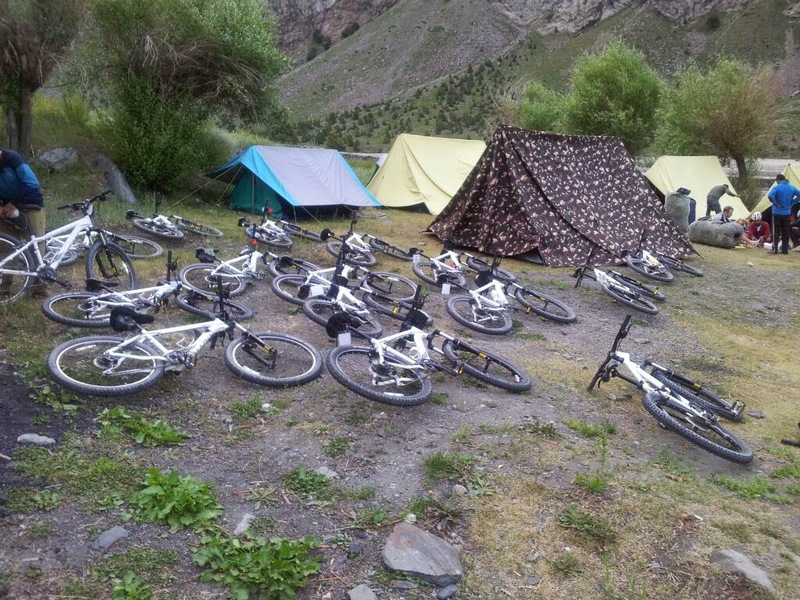 This beautiful spot is 22 km away from Keylong and 4 km ahead of Ghemur. 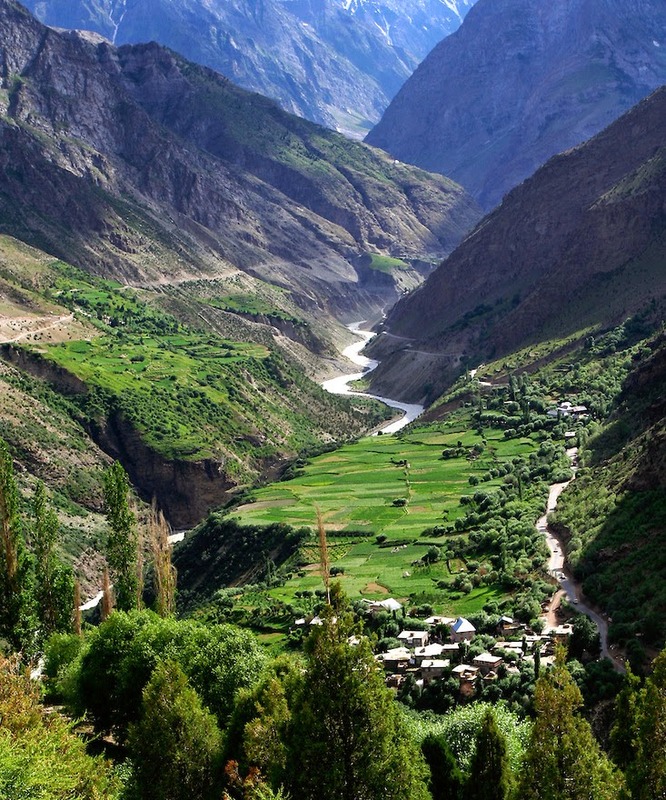 The village is situated at the junction of two nullahs with the main river Bhaga. 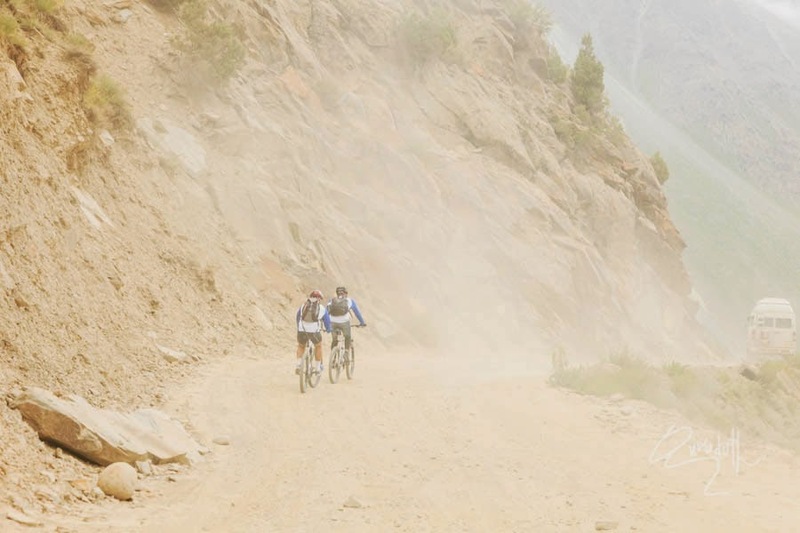 Jispa has a very large dry river-bed, a rarity in Lahaul. Just on the edge of the river Bhaga is a small PWD rest house. Near this the river is shallow and plenty of trout fish can be caught during summers. The place is virtually an angler's delight. Good juniper plantation is around this village. 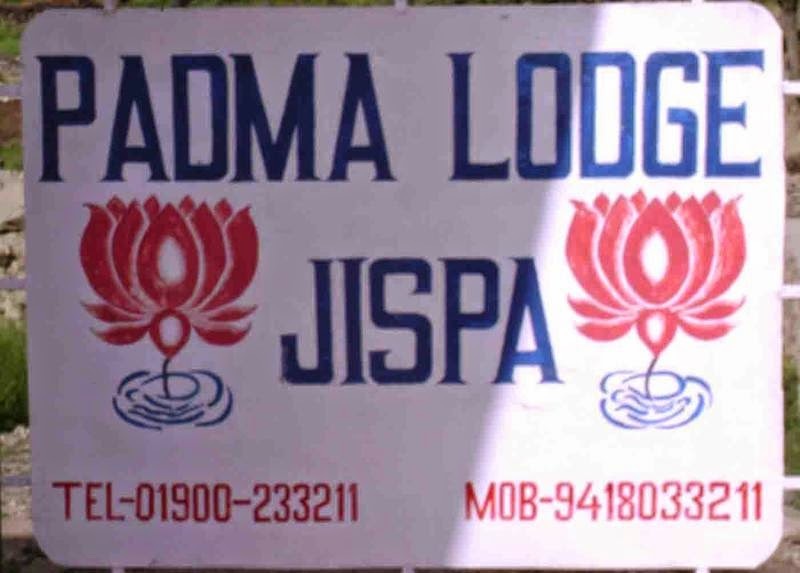 Jispa is usually promoted by travel operators as a necessary halt on the way to Ladakh when coming from Manali. 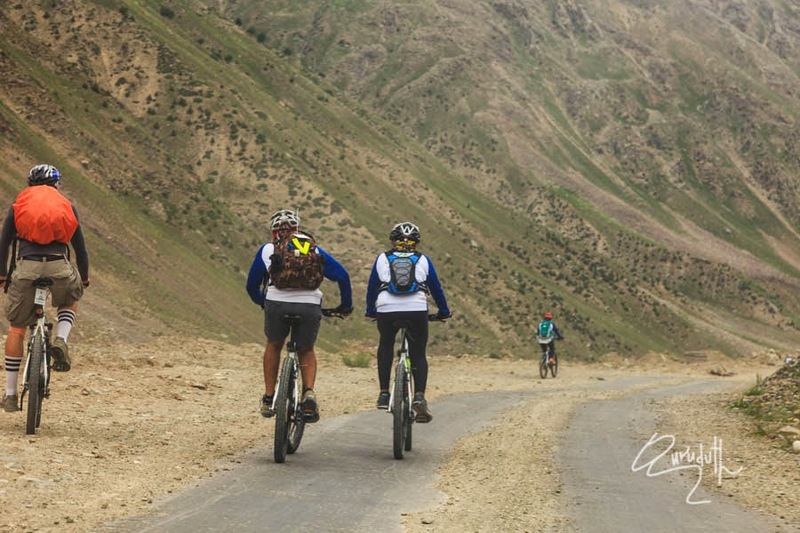 Not only are the subsequent distances to Leh and Tso Moriri too much to cover on the same day, but also to enable travelers get acclimatized to the high altitudes of the region. 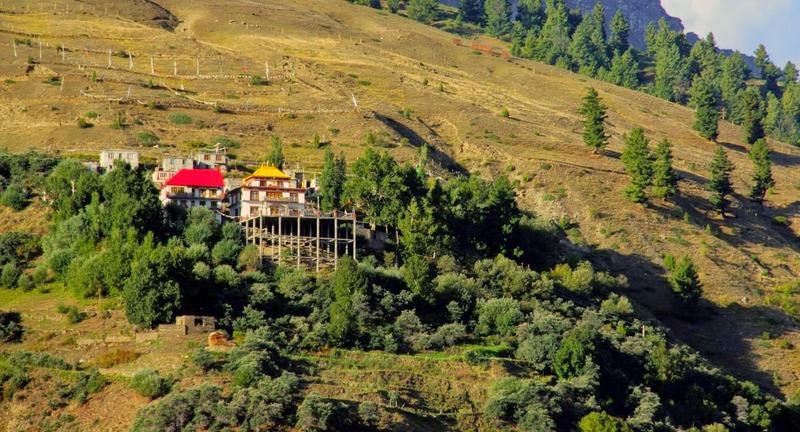 Jispa is located at a height of 10,890 feet above sea level in the Himalayan state of Himachal Pradesh. To be fair to this village, it could well be a destination in itself. When you sleep at night, and all you hear is the Bhaga river along which this village is located, you will know the reason why. 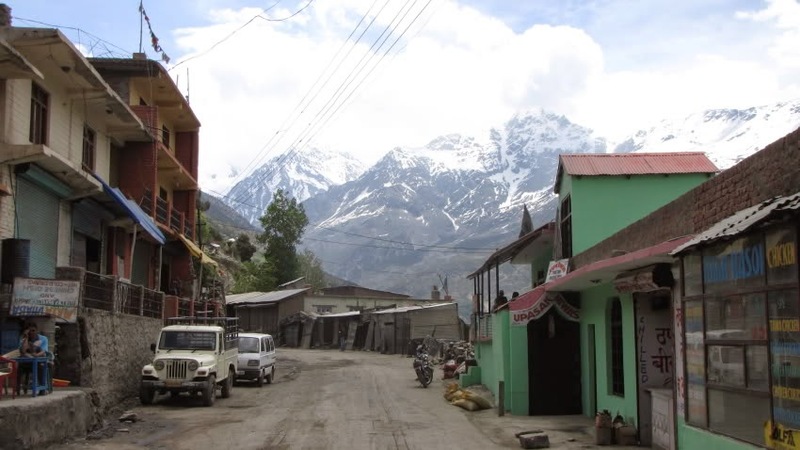 But for an occasional vehicle passing by, including some oil tankers at three in the night, Jispa is as quiet as you can hope an inhabited place in India to be. With views as beautiful as you can wish them to be. You have not only the river flowing through that is originating from “Suraj-tal” near the Baralachala Pass, a few hours drive further on, but the surrounding peaks covered with mist and clouds creating a postcard picture look. Step out early morning for a walk with a drizzle on your face, and soak in the rich greenery around, and wonder why few recommend Jispa for a holiday. You could spend days here, walking along the river or picnicking at spots of your choosing within a few hours driving around. 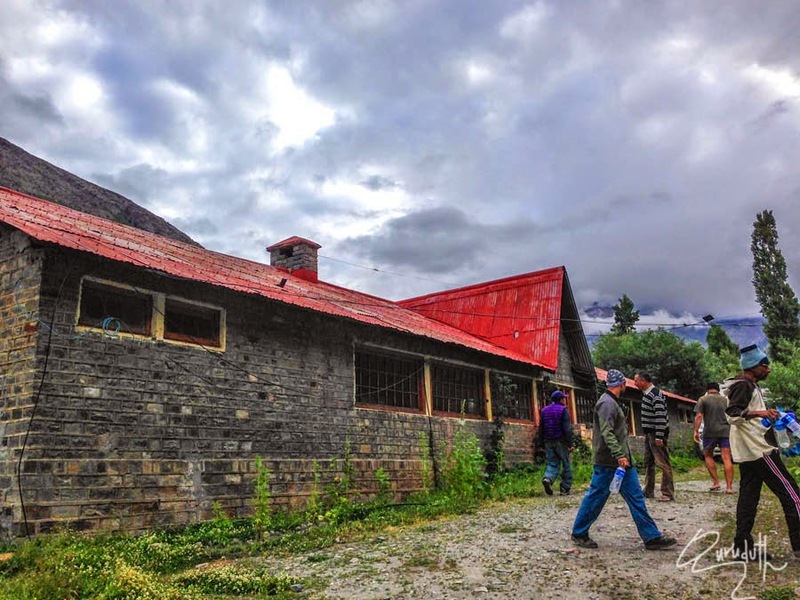 You can also visit the Jispa Rural Museum housing reminders of the history and way of life of the residents of the Tod Valley of the Lahaul district (where Jispa is located), and also buy handicrafts made by local women; we missed seeing it as it was closed. As common all over Ladakh, Jispa too has some Buddhist chortens (stupas) conveying the usual sense of serenity. As do the Buddhist flags fluttering all over. And then there are the Ladakhi style steps cut on a log of tree that promise to be a stairway to Heaven, if you can climb these without support. 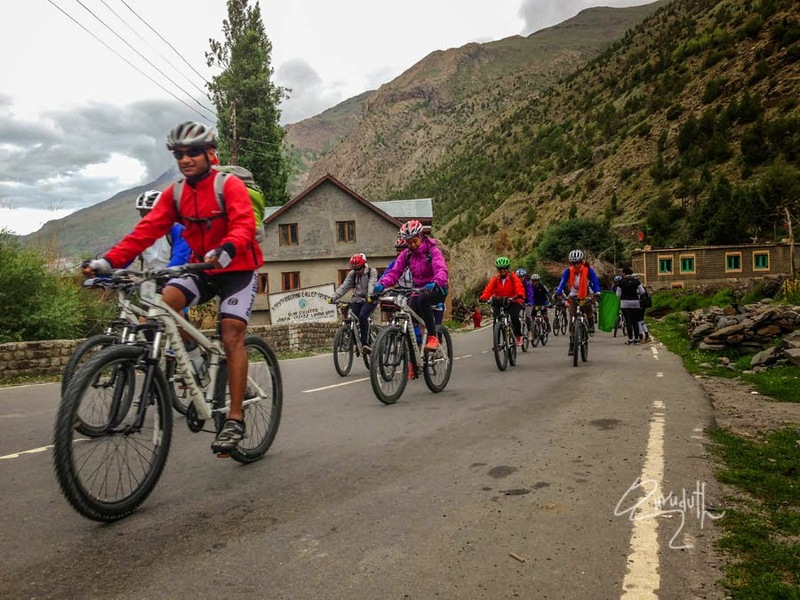 By the time we reached Jispa, it was already evening time and was getting darker, so we thought it’s better to check in immediately at any of the affordable place or hotels. We were informed that there is a Hostel of the Himachal Government's and the name of the hostel is “Himalayan mountaineering institute”. 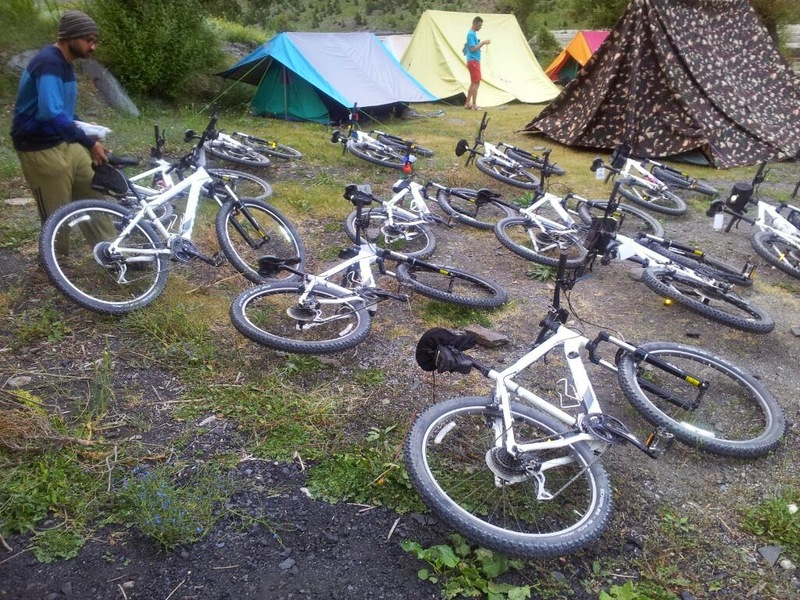 This hostel is adjusant to the main highway road itself and it has rooms as well as Dormitory. 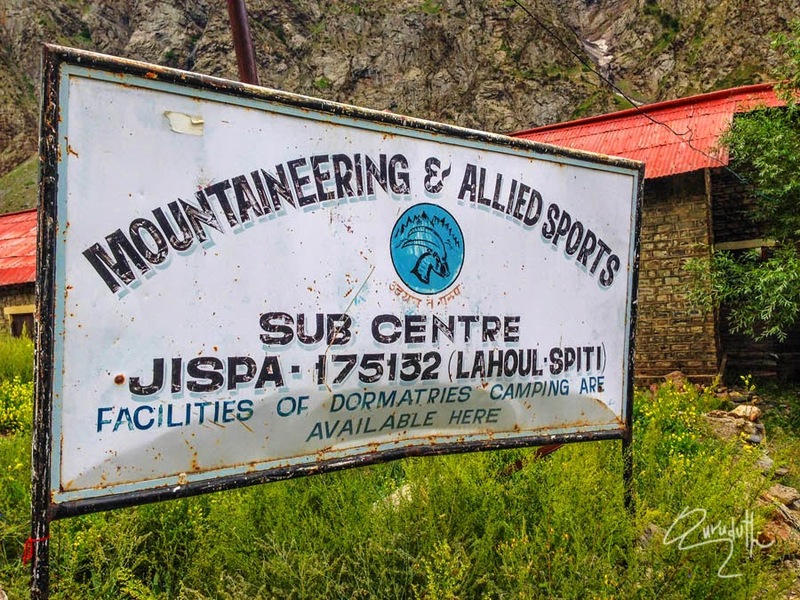 The names of the official in-charge of the Himalayan mountaineering institute at JIspa were Mr. Rudra Singh and Sri Ramnaath. Both of them were very cordial, humble and helpful. 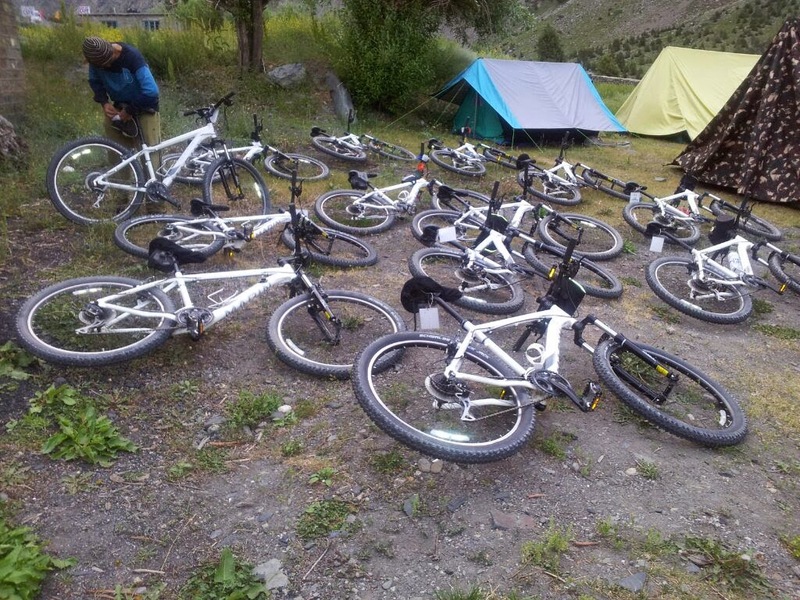 There at the hostel we met Ranjan and Team from Mumbai, who were getting ready to climb Yamnu Peak. 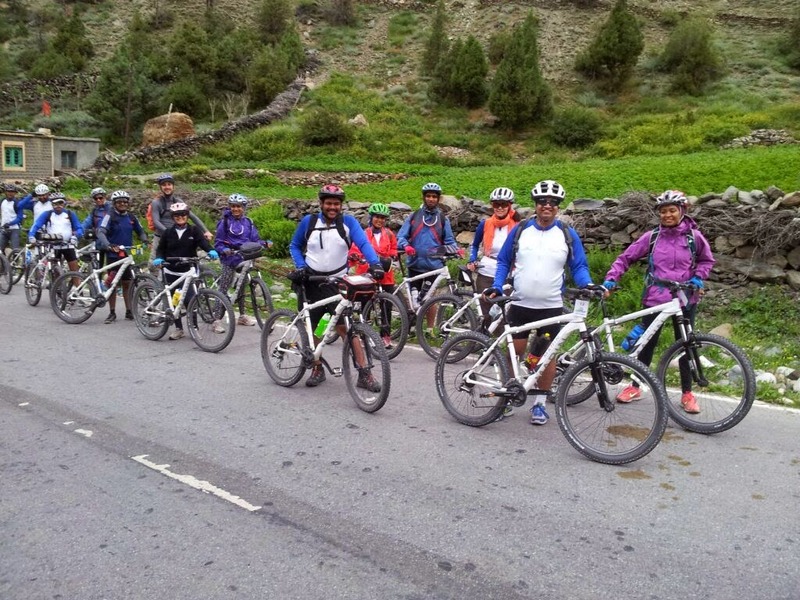 There was another Cyclists-team of 21 cyclists from Mumbai who were adventuring by cycling all along to Leh. 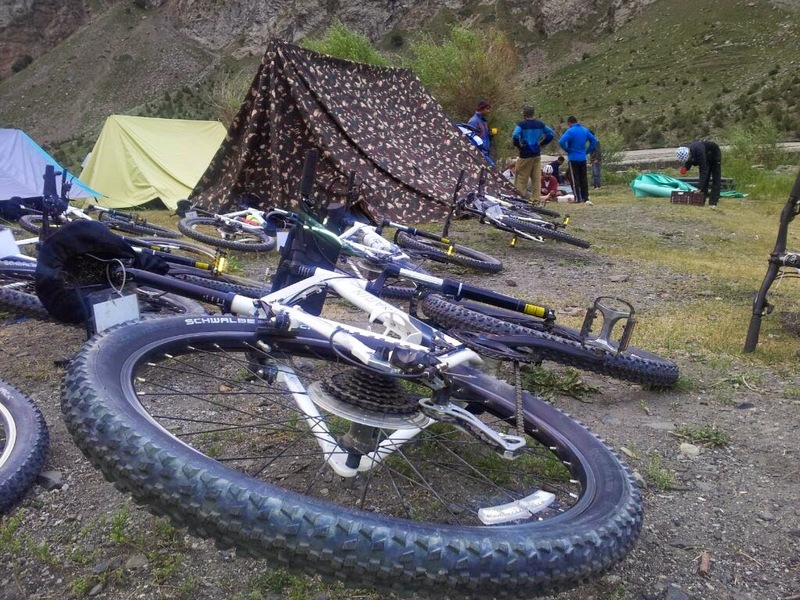 Hats off to these tough adventurers. My next chapter-(13) of my Blog will be uploaded soon. Great post.Thanks for sharing content and such nice information for me. I hope you will share some more content about delhi keylong leh bus Please keep sharing!